When wealthy banker Sir Gerald Mariner posts a handsome reward for finding his missing infant, all of London joins in, hoping to win that money for themselves. Usually discouraged by a saturated market, photographer and private detective Sarah Bain is instead curiously allured as she realizes the case hits much closer to home than she first thought. 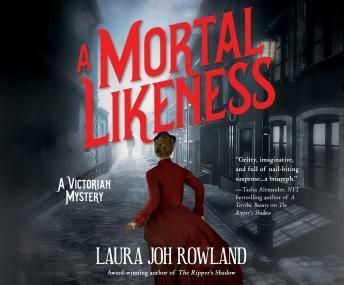 As she dives in, she discovers a photograph of baby Robin Mariner and his mother that eerily resembles the post-mortem photographs Sarah, herself, takes of deceased children posed to look as if they were alive. Now it's unclear whether the kidnapping is a cover-up to hide the reality of his disappearance or if it's truly a cry for help. The clock is ticking, and Sarah must uncover the truth before her past catches up to her in this gripping follow-up to The Ripper's Shadow.